Do you love superheroes? Do you love cake? Well get ready because I am going to tell you something mindblowing. This tutorial is BOTH. No, I am not pulling your leg, I am totally 100% telling the truth! 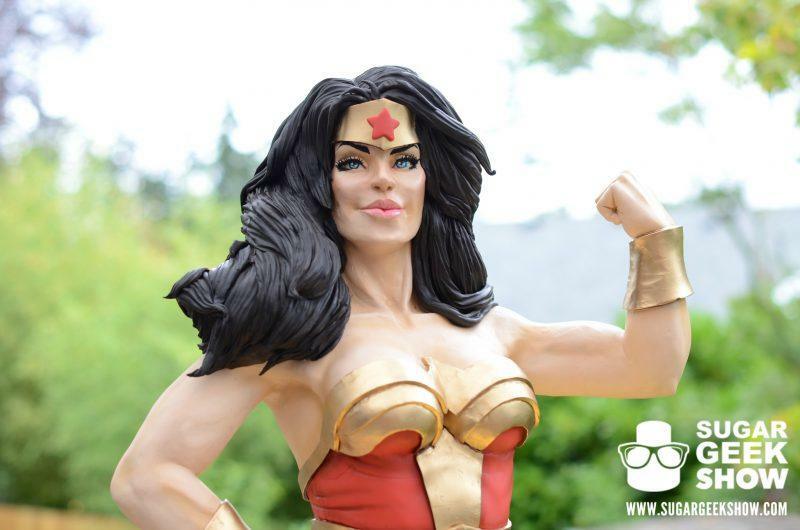 It is a superhero, Wonder Woman to be exact, made entirely out of cake! In this tutorial you will learn the entire process from beginning to end. Structure, cake carving, covering in fondant, the whole kit and kaboodle. Check out some of the close up shots and see for yourself, as if you somehow weren’t already convinced. Isn’t she a beauty? 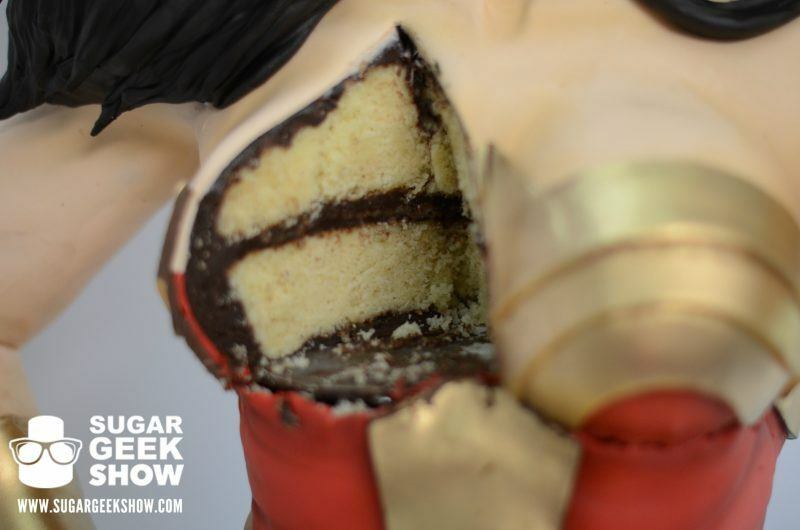 I mean Wonder Woman already was but this cake really captures that don’t you think? Strong, noble and ridiculously cut. 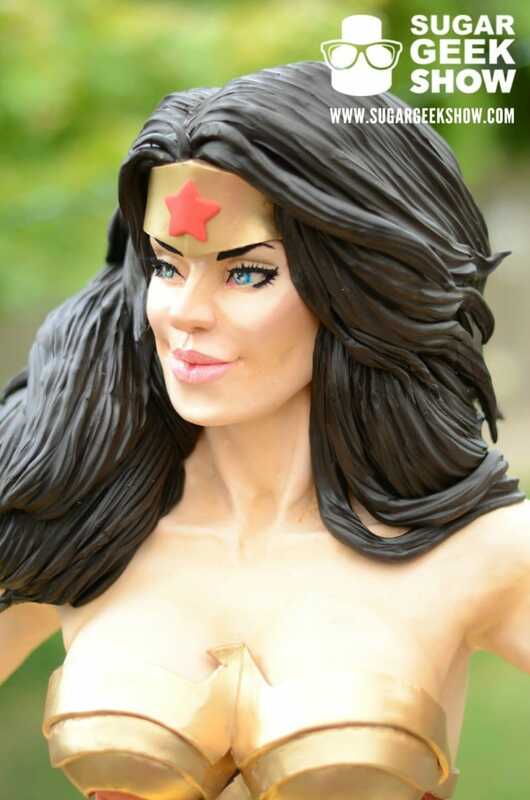 The details and realism are incredible, especially in the face and hair. 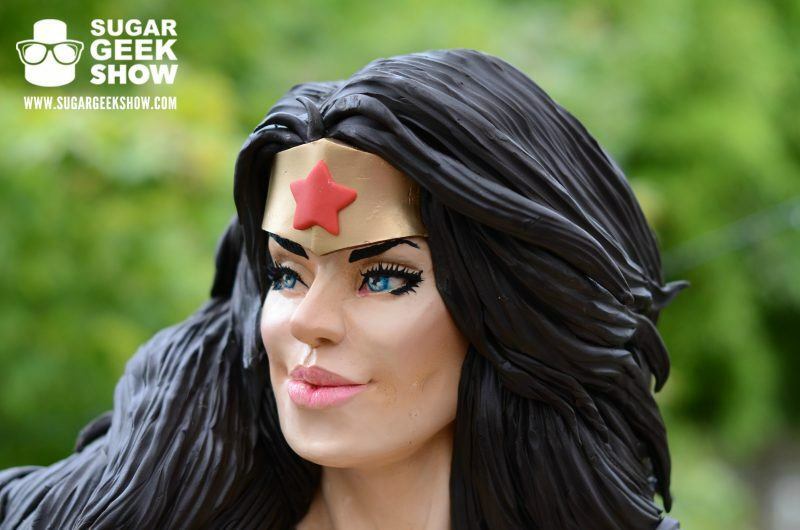 You too can learn how to create these amazing details and apply them to any super hero your heart desires! And here’s your proof, but you never doubted right? You would never do that. 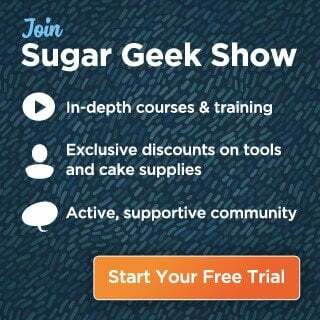 If you’re already a Sugar Geek Show member you know the drill by now and you don’t need a lasso of truth. If you’re not you are seriously missing out. Sign up to Become a Premium or Elite Member today to gain access to this crazy cool class. Here is the preview clip to get you even more excited, hopefully it’s not an awesome overload, then again, that doesn’t sound too bad.